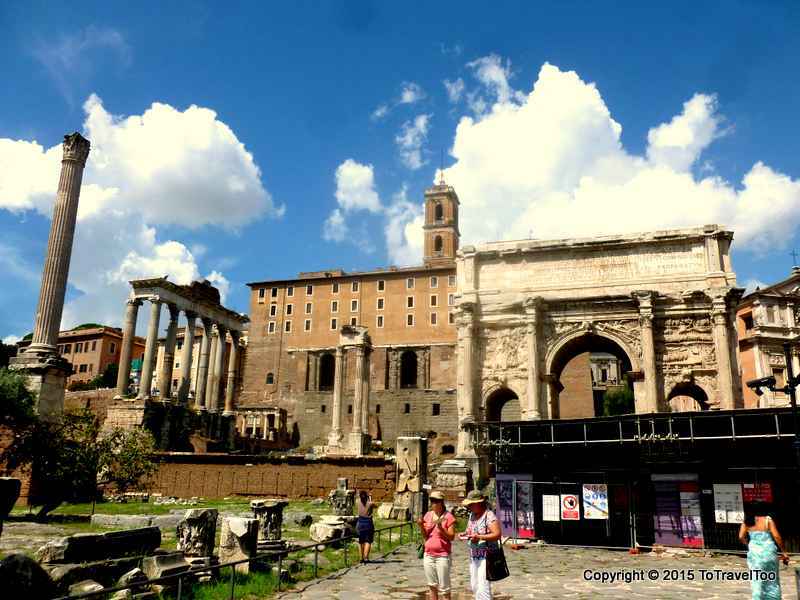 We travelled to Rome in 2013 in August at the peak of the summer tourist season. 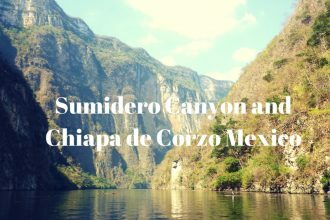 We were expecting to queue at many of the sites that we wanted to visit to. 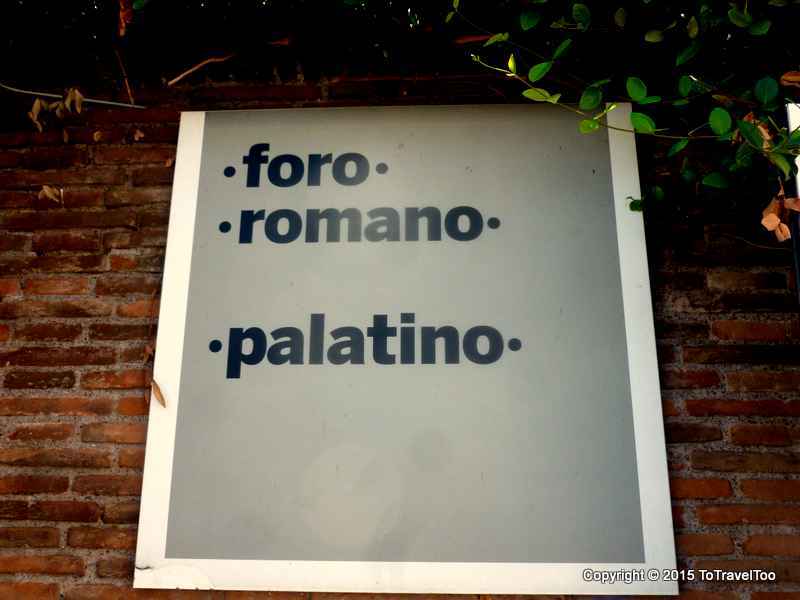 The manager at the Funny Palace Hostel when we checked in gave us a detailed Rome Map and highlighted 5 different areas that we could walk to and create our own special walking itineraries. 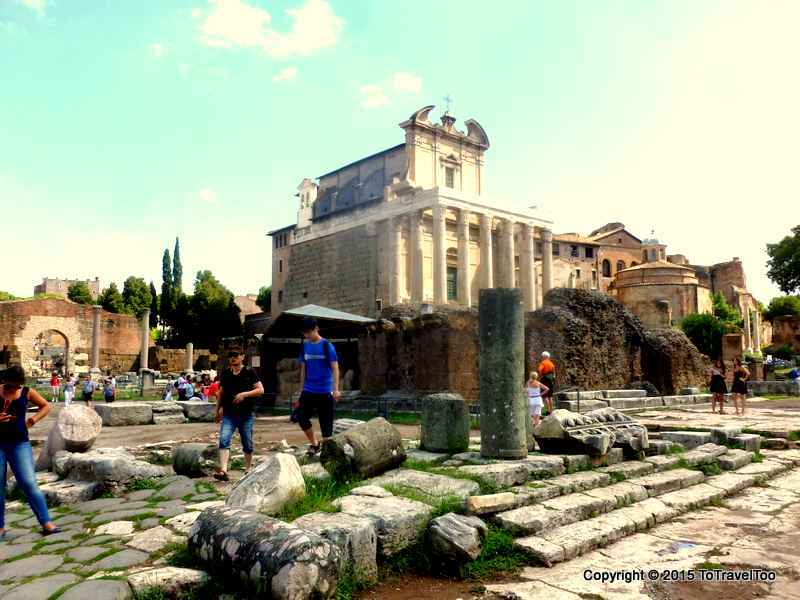 There are many tour companies that provide walking tours of the Roman Forum and will charge extra for a guarantee that will have you avoiding queues. Your entrance ticket includes the Roman Forum, Palatine Hill and the Colosseum. The queues are always the longest at the Colosseum. 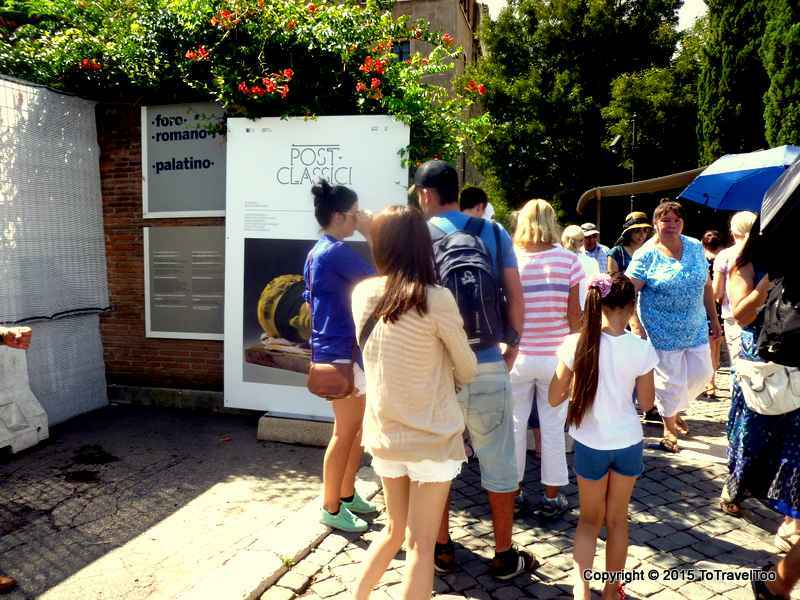 We recommend that you head for the ticket gate at Palatine Hill which is midway down the road Via di San Gregorio. There are hardly any queues when using this entrance. On this busy August day we waited for about 2 minutes. You can explore the Palatine Hill area which is one of the ancient parts of the city and as the name suggests it is one of the seven hills of Rome. From there you can wander around the Forum. There are several advantage spots where you can take photos of the Colosseum. Head towards the Colosseum via the exit gate the Forum. Opening hours are from 8.30am, please check the official website for closing times as they vary at different times of the year. 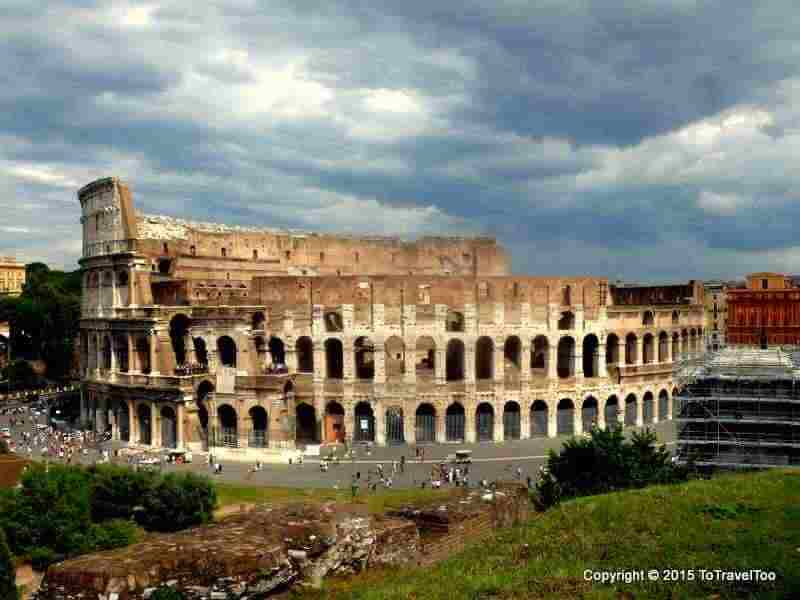 The current ticket price as of 2015: Euro 12 per person which is valid for 2 days and covers the Colosseum, Roman Forum and Palatine Hill. Have you had to queue for hours in Rome? If you want to read more about our adventures in Italy click here.